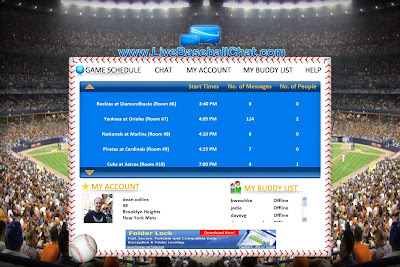 Well we had the launch of http://www.livebaseballchat.com/ yesterday. 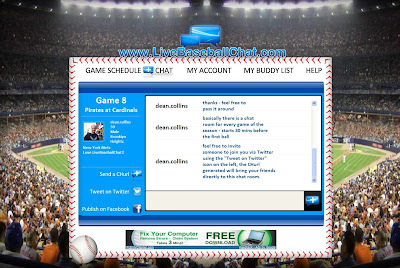 What a fantastic game between the Braves & the Phillies for the opening chat. It's also been great to see people using the Tweet on Twitter function to invite people directly into the chat room they are active in.